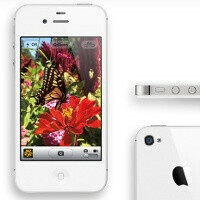 The iPhone 4S is out facing a cruel world - one of dual-core Androids, much larger displays, LTE connected devices and an even more aggressively competitive future. But we care about the present and in the present, the 4S faces competition from a couple of sides: the Samsung Galaxy S II in its different versions and the LTE-enabled Motorola Droid Bionic on Verizon among others. The 4S itself throws a punch by being the first handset we’ve seen coming with Bluetooth 4.0, which is the low-power technology allowing your phone to communicate with other devices without sacrificing battery life. But how will it do against the reigning Android champs and even the similar iPhone 4? Check out the pure facts compared below, but note that we've used the generic Galaxy S II for the comparison - the handset actually differs slightly across carriers with processors and screens varying. Will the little, 3.5" iOS warrior survive among the bigger Android guys? Sound off in the comments below. Same here never going to give Apple another nickel. iFan's don't understand how much content Android has now and how much is free. Like any song downloaded directly to my phone. Iphone owners spend way more on content. "Will the little, 3.5" iOS warrior survive among the bigger Android guys?" Phone Arena's last statement about sums it up. Yeah. I would rather have a 4.52" screen ANY DAY. 3.5" is an embarrassment. Idc what is running on it. Apple is doing a good job of limiting Apple fans, that's for sure. PA please stop embarrassing iPhail 4S. do you tell yourself that everyday to make sure you keep believing it? Lol, the GSII kills the iPhones camera. And once again, the Android had the 8megapixel shooter, first. I can't wait to see speed tests against the GSII on YouTube. iPhone users will be pissed they got the wrong phone lol. Iphone is obsolete compaired to the Android devices. Androids have always had a 8MP camera, apple is trying to keep up. Hell it's not even 4G yet, as of right now for Verizon there are already 5 - 6 phones that have 4G. Apple should just give up, androids are 10x better then iphone would ever be. As you said Pandakilla, there is only 5 android phones that are 4g on verizon, out of how many put out? Can I say over 20. How interesting......I'm sure if apple wanted to put out unstable phones and non perfected phones, they would put out 6 compatible with 4g. And if you knew the battery life on those 4g put out by verizon, you would know that 4 out of those 5 had major issues at release and rewuired updates that made other things worse and still didnt completely fix the issues they've had. Now I haven't had any calls on the Bionic yet, but I'm sure that I will. Out of the 5 that were put out by Verizon, the bionic is the only one that is worth a damn. And you can't really consider the Sprint and ATT 4g androids because let's face it, the Verizon Androids are the only ones that get any real speed, and again those phones still have a ton of issues. Look at the number of DOA androids released in one month (and in case you didn't know, DOA stands for dead on arrival, which means that they were crap out of the box) I'd say that the Android OS definately beats the IOS platform for sure on that. IDK android may have some cool phones that have some cool features (which BTW you have to use third party support for) but they have too many issues to even notate. In my next post I will document the issues of 2.3 in the last month across all Verizon androids and how many customers I've had alone with those issues. Let's post IOS issues in the last month. Phone not turning on _________________ 2 If you waiting for more.......That's it. Srry. I think the Android platform definately has IOS beat on that too. So the anroid OS does beat the IOS in quite a few things as mentioned above. I totally agree with your comments. I've had a number of these problems with my Samsung Captivate preventing me from making phone calls, constant freezing of buggy software, power cycling and rearranging of icons on its own. And I'm sorry, I do not feel i should search all over the internet for a hack to make it work properly. When you pay that much money for a phone it should just work. What attributes to Apple's success is that it just works. That's it. No mods and no customization. If you spent money on a new car why should you have to mod it to do what it's supposed to do. That's the manufacturer's job, not mine. I'm so sick of people who just hate on Apple and call them sheep. It's a matter of choice, whether you eat meat or not, choose to vote or not. It's yours to make. Stop all this ridiculous whining about my dad can beat up your dad. Indeed, that is comedy right there. Why is Phone Arena trying to make the iPhone 4S sound so good. It is what it is guys. Same thing with dual core and 8mp hd camera. And yeah, that stuff is great and you should be glad they added it, but android has it and the best part is you can pick from many different phones, not just black and white. the 4s is going to be a sweet phone, its going to work, plain and simple. It will be good for women and older fokes and casual users, but for anyone really in touch with the technical world of phones can see right through the Apple hype. Bottom line is they failed with this one and its nothing new. Oh and screw Siri. Obviously the SGS2 and the Bionic are better. I dont know how many times i'm going to copy and paste this but it feels so great! HAHAHAHAHAHA! WOW! I dont know if I want to call up my friends and family who are iOS fans and gloat that "Android WINS!" or if I call up and offer my condolences. All I know is that I'm so happy with their failure that I'm about to start dancing. yea you won buddy!!!! You're life is now better! well, I felt that way too until earlier this year after their keynote until i watched the google keynote...lol wait tell next week. so it's specs are right in line with SGS II and Bionic and yet fandroids claim it's outdated.